If you're an Apple iOS Apps Developer and thinking to build more Creative Applications for upcoming Windows 8 platform Metro Style Apps than Microsoft is encouraging and offering you to create Windows 8 Metro Style Apps without any hard effort. Microsoft with the Windows 8 have already enter into Apps Market of Tablets and Windows platform and now it’s wanted to help developers migrate from existing platforms to their own. Microsoft is now targeting iOS Apps platform developers because of its popularity into Apps market and has the largest market share and the developer community. Microsoft has developed and builds a new Case Study and Guidelines for Apple iOS Apps Developers to build creative and promising Apps for Windows 8 Metro Style platform too. Microsoft has put together a guide to teach and help developers migrate from iOS to their Windows 8 platform. In this case study Microsoft wants to help designers and developers who are familiar with iOS to reimagine their apps using Metro style design principles. 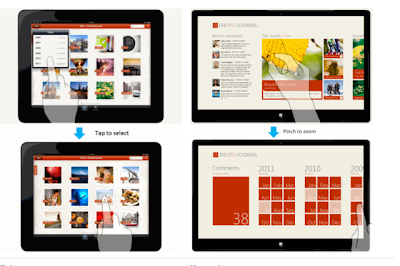 Microsoft have re-design and reform the most common user interface and experience patterns found in Apple iPad apps to Windows 8 Metro style apps. 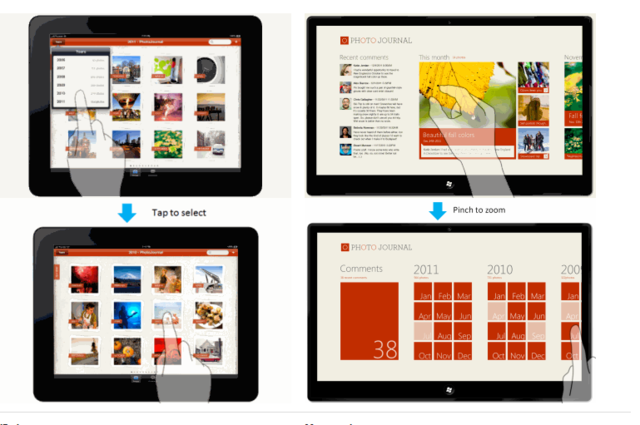 Microsoft in their official post has shown the picture to picture Guidelines and Instruction to build Windows 8 Metro Style Apps with the familiar pattern and interface of Apple iOS Apps. If you're Apple iOS Apps Developer and wants to learn more about the business opportunity of Windows 8, see selling apps. For more info about the features used to build Windows 8 Metro style apps, see the Windows 8 Product Guide for Developers.